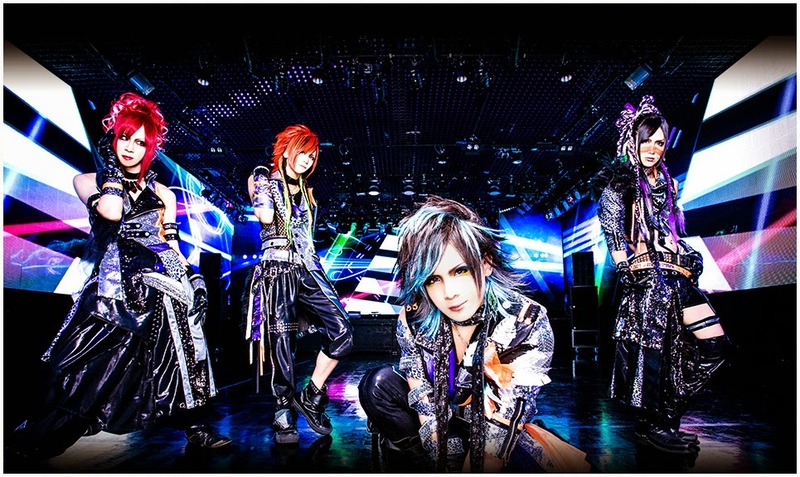 Regular readers of Project: Lixx will surely know Black Gene for the Next Scene (abbreviated as BFN / Black Gene) as previously featured in PV analysis with their single ‘Welcome to Monster World‘. 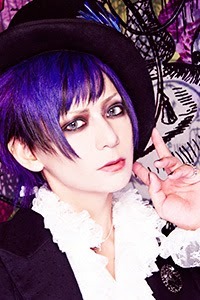 Formed in 2011 by Ice on vocals, Toki on guitar, Rame on bass and Sala playing drums, their 5th maxi-single released in July 2014 features ‘DDD – Dead Devil Dancing’. The PV shows off a demonic aspect and threads a short and fractured narrative with swaths of performance. The video opens on a stark white cow-skull sitting on a desolate portion of ground. The shot cuts away to a close up of what appears to be the wheel of a chair, and shackles loosed nearby. Swiftly establishing multiple themes of confinement or restraint rather soon into the piece – perhaps indicating by circumstances induced by the individual, as though a criminal kept prisoner for their misdeeds against society – or some physical limitation through accident or circumstance of birth. We’re shown the band in single shots, cutting back to feet walking with the shackles dangling, then the band performing fully in a cavernous area lit by fire. A cut back to the gray space depicts the wheelchair-bound man and his travelling companions shuffling, then shows Ice in his performance look in this area. The black-robed figure in the wheelchair is positioned near a window in this drab space. Ice appears to be near the wheelchair bound figure away from the window, singing directly to him, grabbing his head and stroking it. There’s a sexual connotation to the motion here, or some sense of seduction on another level comes across. There’s an assortment of shots of the band performing, flanked by fires and mugging all over up to the 1:05 mark. We’re shown the black-robed figure at the window, seeing a hint of features as the camera angle shifts slightly. After cutting back to the performance, the robed figure’s three companions are seen more fully, also hooded and robed though decked out in patterned variations on the first figure’s apparel. That there are four individuals represented here and four members of Black Gene for the Next Scene seems conspicuous at this point. Ice is seen toying with the wheelchair-bound man again, and some of the features of the other robed figures are shown in more detail, revealing parts of the members’ signature looks. Ice grabs the black robed man around the head, and then the robed figure comes to life near the window suddenly. He appears to sing the lyrics that Ice is singing, so it would appear that the self-seduction is in full swing in the taunting sequence. That Ice appears to have his hand on the back of his own head, appearing at his own crotch level in one particular shot seems nigh-masturbatory in the imagery. While this may not be the intent, perhaps the implication of ‘self-abuse’ speaks to some demon deep within pulling Ice towards giving into this internal darkness. The band plays on, each member given solo shots in a flurry of cuts until the clip nears the two minute mark, where the barren landscape seen earlier is panned across to find the cow-skull from before. Now that we’ve seen the devil-inspired look of the band these remains are granted a more sinister presence. The band plays on, we see the robed Ice sing as well, and demon Ice appears to kiss his robed self. At this point, we see the robed figures walking in the woods in a dreary procession. Ice rolls along in his chair at this point, out in front. The shots head back to the band for solos, and then we’re shown the robed gang of four standing together on the desolate plain where the cow-skull was seen. Black birds circle over head, then we’re back to Toki for more guitar work. The members play over a series of quick cuts showing them as the robed figures superimposed on a night-scape, the cow-skull on a backdrop of fire and we near the three minute mark we’re taken back to the squalid room seen before. Just before three minutes, the track takes an inexplicable dub-step. I should correct that – explicable as incorporating a genre pervasive to pop in recent years, just before the three minute mark, the track veers into dubstepping. We see Ice in his robe from the front, standing and swaying on the barren area, looking up towards the sky. This transitions to shots of Ice and Ice, the demon in front of the chair, and then to the band performing in a windowed industrial area, like some large garage or hangar. An auto-tune effect on Ice’s voice grants it a cold quality, like some invocation from below, as the band is seen rocking out to the techno-breakdown amidst cuts of the Ice on Ice action. The walkers in the woods appear to reach their destination, helping Ice from his chair and forwards. We’re shown him in front of the window, singing again – perhaps some plea from his repressed self that bade his attendants to take him from the squalor. The robed figures descend, interspersed with shots of the band playing and the window-singing. Ice in the robe is seen falling to his knees, as the demonic variant continues his spooky self-serenade. A shadowy figure rises from the robed form, and sprouts wings around the 4:20 mark. We’re shown the seductive scene, the scene in front of the window and the barren landscape once more before the clip closes on the shadowy winged figure taking off into the sky – Ice appears to have unlocked the darkness within through this ritual of rock. The video explores giving into the darkness within, though via an externalized avatar seducing the seemingly-catatonic other self. Giving in appears to liberate the barely alive Ice, though through some manner of death-ritual based on how his shadow appears to separate from him, realizing the power of the titular ritual. 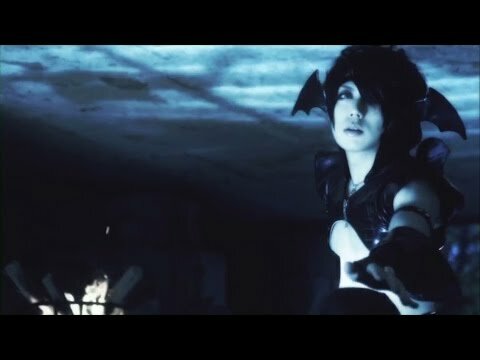 As another visual outing from Black Gene for the Next Scene, the clip lives up to the standard of their previous work, while leaving fans hungry for more.